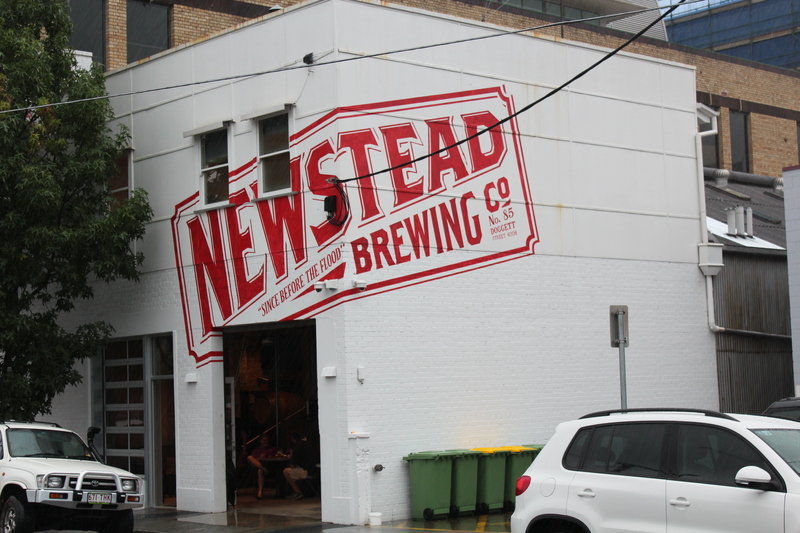 Newstead’s main tap line-up comes from the brewery that’s right on site. 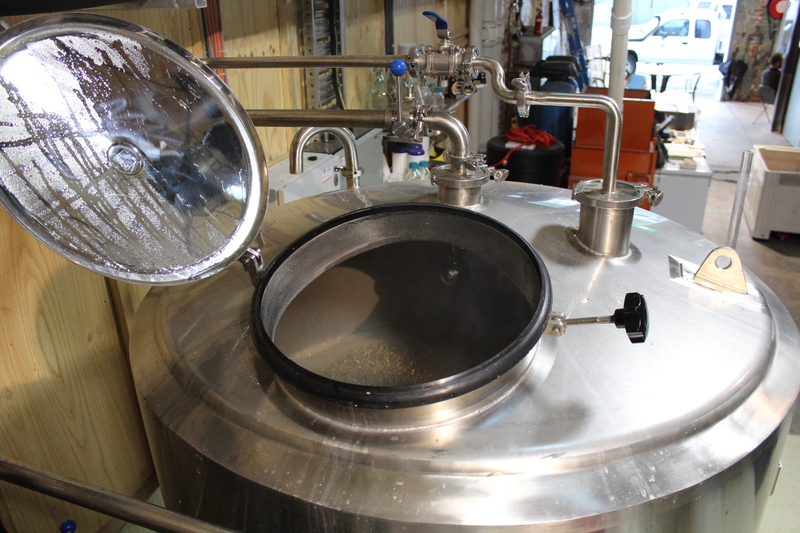 With 7 beers and a cider regularly coming out of their mash tuns, the majority of the 12 taps will be of their own making. These include the 3 Quarter Time Session Ale, Mayne Thing Golden Ale, Liquidambar Amber Ale, Out and a Bout Pale Ale, Two to the Valley India Pale Ale, 21 Feet 7 Inches Porter, and the Johnno Cider. All of these cleverly named beverages have a great, fresh taste since the transportation is only about 10m. 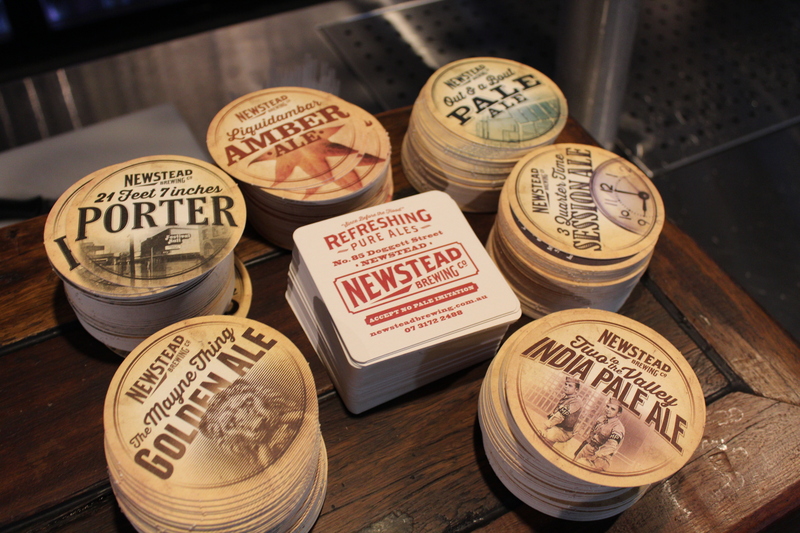 Newstead also brews up seasonal beers. This Australia Day (2014), a lamington beer is being served up and some easy drinking summer time lagers will be on soon. The remaining 4 taps (or more if one of the staple beverages are sold out) are a rotational mix of Australia’s top brewers, including Bacchus Brewing, ALL INN Brewing, Four Hearts Brewing, Fortitude Brewing, and McLaren Vale, just to name a few. You’ll generally find a good deal of pale ale’s and sessionable style beers, interspersed with a few darker rye ales and stouts. The bottle selection sees a bit more diversity, hitting all the styles. The food at Newstead makes it a great place to have a few little nibblies like cheese plates, pates with sourdough, or buffalo wings. The Jalapeno Poppers are a personal favourite. However, menu doesn’t stop at snacking. 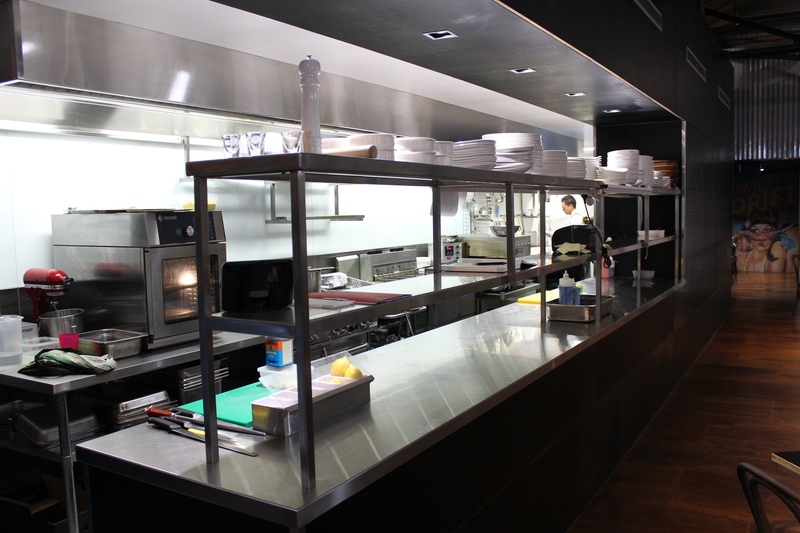 The dinner menu includes pizzas, steaks, slow-braised short ribs, fish, and risottos, plus much more. 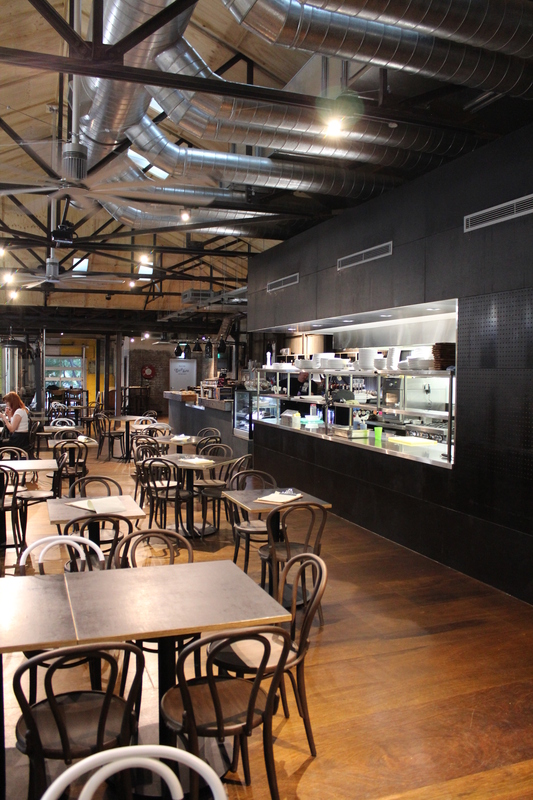 When you first walk into Newstead, you instantly know you’re in a brew pub. 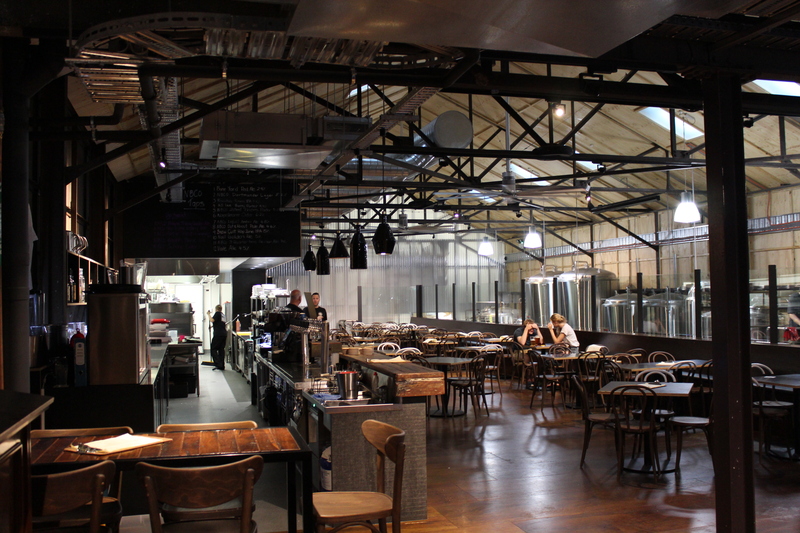 The large, warehouse atmosphere is separated in two, with the brewery on one side and the restaurant and bar on the other. 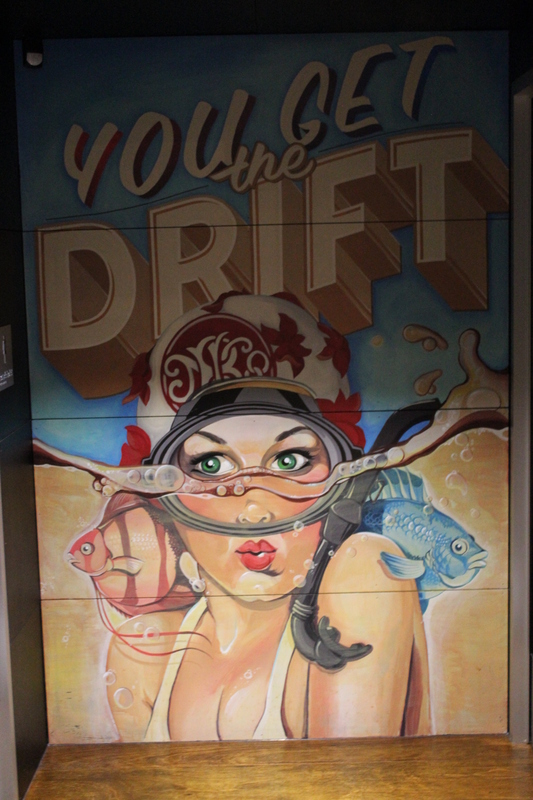 The brewery is easily seen through the glass divider which adds to that wonderful feeling that the beer you are drinking was made, kegged and served just meters from where you ware sitting. The exposed ceiling, untreated wood panel walls, and frosted corrugated plastic back wall adds to the industrial feeling, yet the lighting makes it all feel very warm and inviting. 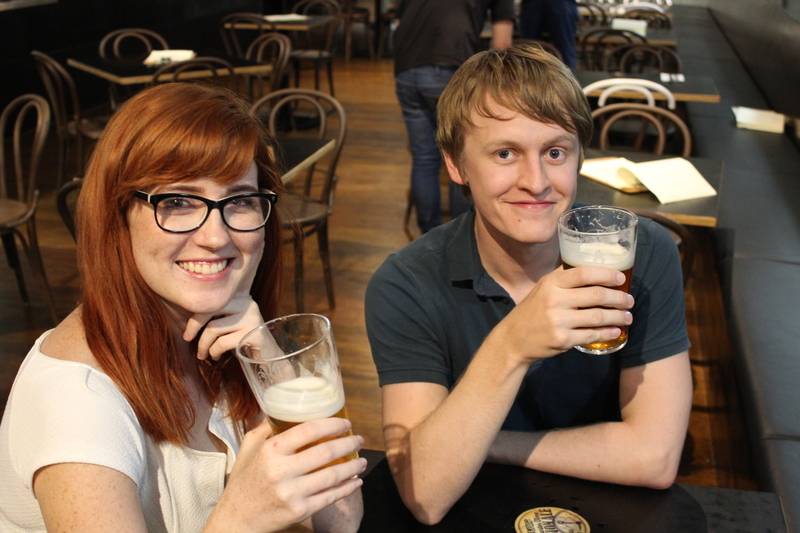 Who is the typical punter that comes into Newstead Brewing Co? One of our main goals is to promote and support local business. 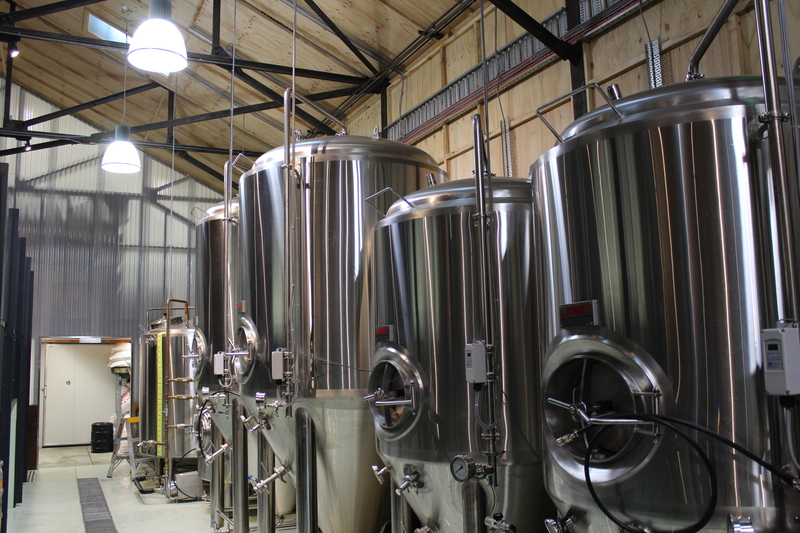 I love the uniqueness, freshness and passion of local breweries, especially the guys who are busy with full time jobs and brew on the side, like 4 Hearts, Toybox and the Brewtal guys. The beers are superb as well, so we love having them on tap. Other than that (and don’t tell anyone this) its just whatever I can get my hands on. Brissie has some great beer distributors for a backwater. Guys like Calibre, Northdown and Bravo have some great stocks. Actually I’ve been really impressed with the gear coming out of the UK at the moment, its fresh and different. What makes Newstead unique from other beer venues? We do a little bit of everything for everyone. 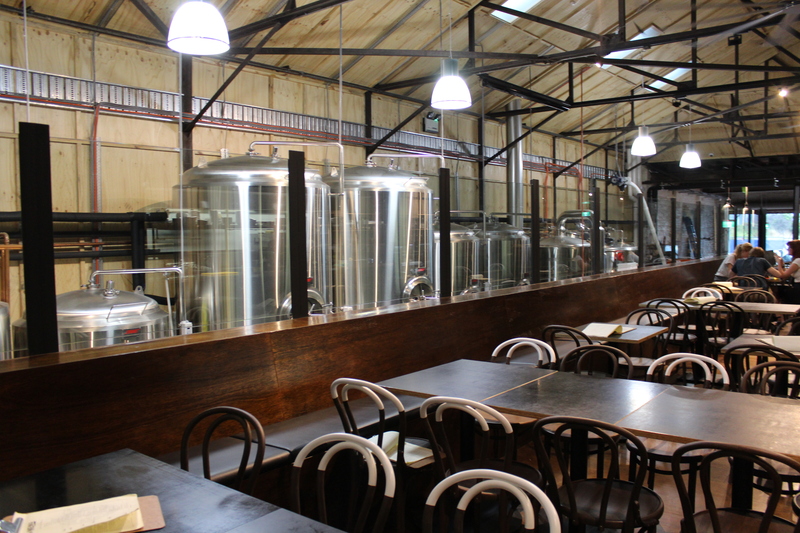 We are a brew pub, a craft beer bar, a gastro pub and a comfortable warehouse venue for events. With Michaels background in fine dining and wine and my background in drinking beer we can do a few different things (and drink beer). 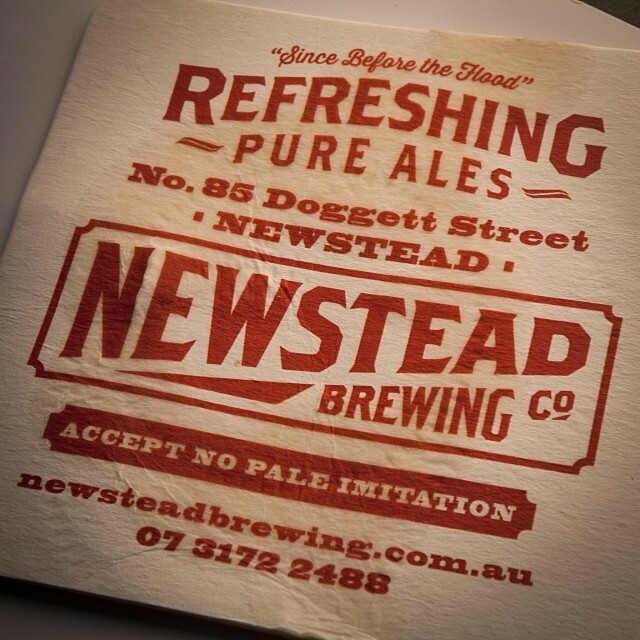 Any other interesting facts or stories about Newstead Brewing Co? Our first brewed beer was a cider and our first bottled beer was contract brewed. Not good signs for a brewpub. A big thank you to Mark Howes for his time and help! Everyone loves a fresh pint after work. Alementary – Get your learn on.